Saudi Arabia's King Salman bin Abdulaziz landed in Moscow on Wednesday for a historic State visit. 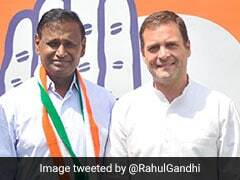 But as soon as he exited his private plane, he was faced with a problem. The king, known to travel lavishly, exited the jumbo plane and boarded a glittering gold escalator but midway it stopped working. Guess all that glitters may be gold but not necessarily functional. 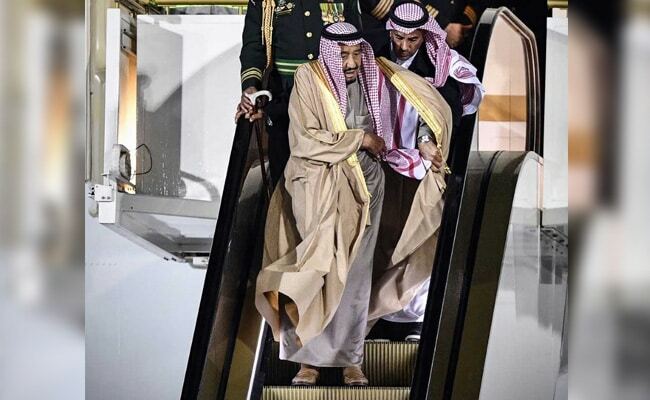 After a brief pause, the malfunctioned escalator forced the Saudi monarch to walk rest of the way. Video showed the 81-year-old looking confused as concerned aides followed him on the escalator. Video of the footage quickly went viral on social media and Twitter erupted with jokes about the unusual sight. King: "Right left? Is that correct? Ok, let's try this." lucky for him, escalator did not start going reverse and sending back to the plane. Hahahah!!! Gold escalator production company will be closed soon!! King Salman bin Abdulaziz is on a four-day visit to Russia, a first for any Saudi monarch. Along with the special escalators, the king reportedly brought an entourage of 1,500 people, his own furniture (including carpets) and 800 kilo of food supplies from Saudi. The two countries have already struck a deal on weapons sales and leaders discussed the oil market and Syrian crisis.